This is an amazing book. 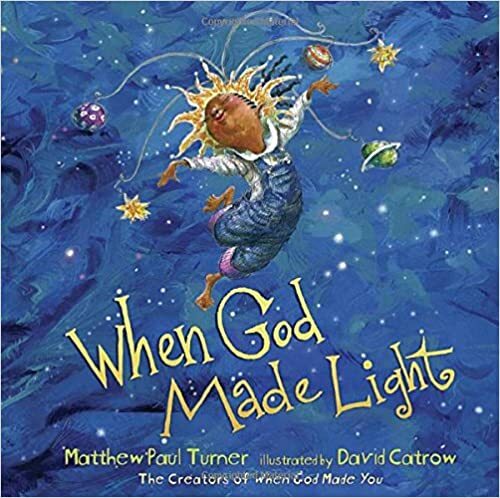 I have another book by Mr. Turner called When God Made You. It too has beautiful illustrations, an uplifting and positive message, and is fits in great with our bedtime routine. Part of the reason we read this book often is how attractive the cover and back cover are. They are definitely unique and striking. The book does a great job of leading children and parents to talk about emotions, life, and family. It has a very similar tone to When God Made You. "This light radiates, chasing away the shadows, providing the wonder and fun of stargazing or firefly chasing. Most important, this light appears in each child--an inner God-given spark that grows and will be used to change the world." We highly recommend this book to anyone. This is a very well written novel. I enjoyed the family dynamic between the adults even though this feels more like a young adult novel. I haven't finished the book but it is definitely gripping. I really enjoy books where different story lines that don't feel related, become related. They make the journey so much more exciting because while they are not confusing, you end up forgetting small details that play a big role later. When I was attending a Library conference I heard about You are the Beloved. You Are Beloved is a daily devotional intended to empower readers to claim this truth in their own lives. It is intended to be used daily (duh) and focuses on quick ways to remember the importance of God in our lives. It's easy to get lost in the daily grind. The book has a nice succinct feel to it and it was easy to pick up at the beginning or end of the day for a few minutes. It will appeal to readers already familiar with Nouwen's work as well as new readers looking for a devotional to guide them into a deeper awareness of their identity in Jesus. There are an outstanding amount of positive reviews for the book. I love young adult fiction. I don't like anything too serious and this book does a good job of toeing that line. It's not something that is going to keep me awake at night worried, but it definitely invokes strong feelings that make you want to keep reading. Other reviews mention that the language is strong in the book. I can understand the importance of them for storytelling elements which is probably why it is young adult fiction. When I saw the book had similar attributes to John Green I was pretty excited to give this as a gift. He is definitely a prolific author and I have enjoyed his works for years. The author does a good job of writing as an anxious teenager and getting inside the mind of a male learning to cope with loss. Seeing the cover of God Gave us Family, reminded me of the book I recently reviewed, When God Made You. The book's illustrations appeared to be very similar. I knew we really enjoyed When God Made You so I thought we would check it out. I had requested the book and was checking out some of the reviews. They talked about traditional and non-traditional families and it feels very important to raise your kids with awareness that just because something is "normal" to them it doesn't mean something different should be weird, strange, or "abnormal". This book does an amazing job of getting that across. We've read the book several times already. My son loves seeing the different animals and it's a great way to talk about difference and how we are all unique and special in our own way. Alexander Hamilton is still popular despite the time lapsed from when the Broadway show caught viral fire. 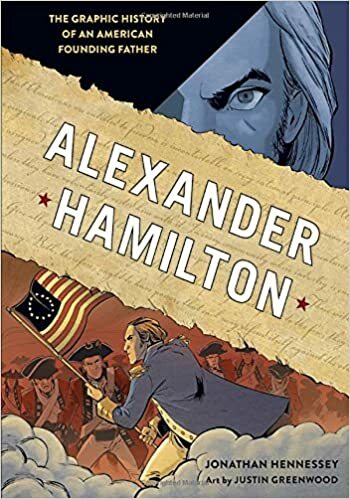 I got this book hoping it would be a more visual representation of Ron Chernow's Alexander Hamilton book which is what the musical is based on. We were lucky enough to get Ron Chernow at the Toledo Library last year. The book does a good job combining visuals and text to make the book easier to understand for a younger audience and allows them to more easily get through the important historical and moral lessons. This being a comic book opens up history to a wider audience. I really appreciate that. I really enjoyed reading other reviews on the book before getting it at Blogging for Books. I got this book for my little dude because we love reading books and the cover looked amazingly beautiful. It had received really high remarks from other reviewers. People mentioned a lot of diversity being displayed in this book and they were correct! This book makes it easy to tell your own story based on the images and colors in the book. Often times we will make up our own story from the pictures to keep books interesting and develop other vocabulary. This is a good book for any age especially those under 5,6,7 where they still enjoy picture books. We will be reading this book all the time! I can't recommend this book enough - it's thought provoking and very enjoyable for both my toddler and myself. Learn more information from Penguin Random House.